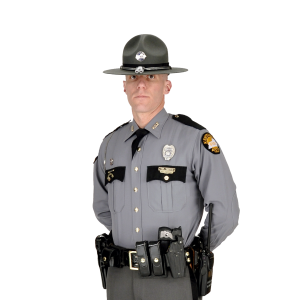 Louisa, Kentucky – (December 24, 2018) The Kentucky State Police in Ashland are investigating a fatal, two vehicle collision that occurred Monday afternoon, at approximately 3:15 PM, on US Highway 23 in Lawrence County. The on-scene investigation revealed that Edwina Wilson, age 49 of Louisa, had been operating a 2018 Kia Soul, when she had slowed down to make a left turn, but was struck in the rear by a 1989 Peterbilt commercial vehicle being operated by Randall Boggs of Grayson, Kentucky. Two other passengers were in the Kia at the time of impact, including Brenda Charles, age 66, of Louisa, and a twelve-year-old female. All occupants of the Kia received fatal injuries, and were pronounced deceased at the scene by Lawrence County Coroner Mike Wilson. At this time no criminal charges have been filed as a result of the crash, and alcohol is not a suspected contributor. All passengers were wearing seatbelts at the time of impact. The collision remains under investigation by Trooper Bobby King, who is also leading the reconstruction. He was assisted on scene by several local fire departments and EMS crews.